One of our recommendations and an excellent balsamic! A moderately thick aged balsamic vinegar which above all has a delicious flavour … sweet but not overly and well rounded. 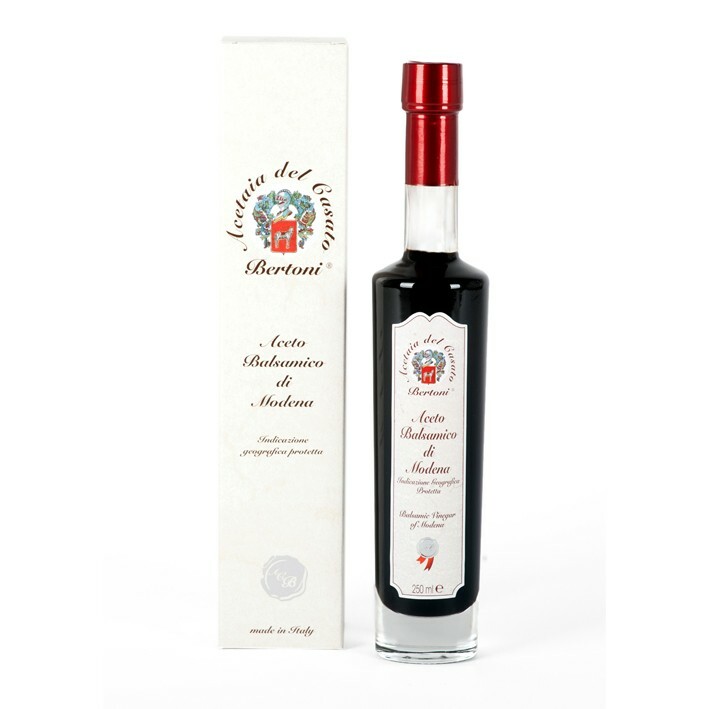 This top quality Balsamic Vinegar IGP Silver is made from grape must and aged for 6 years; it comes in an attractive bottle and white presentation box. Cooked grape must, wine vinegar (contains SULPHITES).